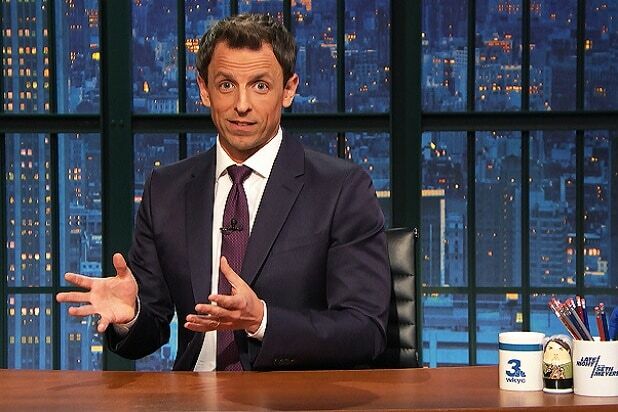 NBC has ordered an untitled sitcom from former “Saturday Night Live” writers Seth Meyers and Mike O’Brien to pilot, the network announced Monday. The single-cam comedy, formerly titled “AP Bio,” follows a hilariously cynical Ivy League professor who loses out on his dream job and goes to work as a high school biology teacher where he imposes his unorthodox teaching style and uses the kids to plot out revenge on those who wronged him. O’Brien will write and executive produce the Universal Television/Broadway Video pilot, with Meyers joining Mike Shoemaker, Lorne Michaels and Andrew Singer as EPs as well. NBC also announced they would be reviving sitcom classic “Will & Grace” for a 10-episode run that will air later this year, and renewed freshman drama “This Is Us” for an additional two seasons.